Harry Podmore fell lbw, aiming to play Brooks through the leg side, to make it 93 for eight. 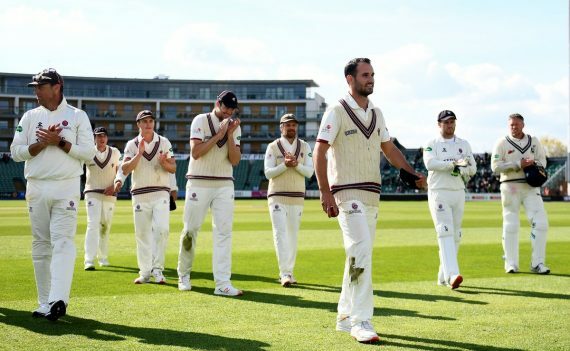 Matt Milnes fell for ten to a catch at first slip by James Hildreth, giving Gregory a deserved fifth wicket, and in the same over last man Claydon was dropped by Marcus Trescothick at second slip. Somerset’s five-wicket hero Lewis Gregory said: “Momentum is a massive thing in cricket and the partnership between George Bartlett and Jack Brooks at the end of our second innings probably helped us get off to such a good start when Kent batted. “Taking a wicket with my first ball was a bit strange. It built on what George and Jack had done and we fancied our chances because the wicket was doing a bit all through the game. Kent assistant coach Allan Donald said: “There were a lot of positives to take out of the game for us. Without Joe Denly and Sam Billings, we still ran a very good side close and I was delighted with the way we bowled for most of the match. “Somerset built pressure in our second innings and you don’t come back from 50 for six. They showed what a classy First Division side they are by fighting back and turning the game around. “Their last wicket stand really hurt us and we lost our way a bit during that period. Had we taken all three remaining wickets early we might have been chasing 140 and instead it was over 200. This entry was posted	on Monday, April 8th, 2019 at 7:00 pm	and is filed under Cricket, Featured. You can follow any responses to this entry through the RSS 2.0 feed. Both comments and pings are currently closed.